Ubuntu is one of most Linux distributions which provides a million free software in its repository. All we need to do is add a software channel so we can install many software we need. Usually, the software channel list is saved in a file which located in "/etc/apt/sources.list". We can manually edit it to add or remove software channel, but Ubuntu and many third party applications provide a graphical way to generate or to edit source.list file. 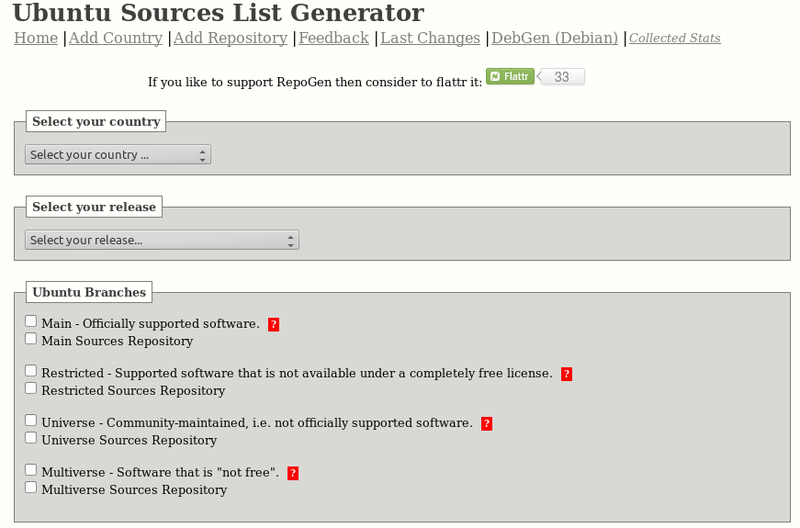 Today, I'd like to share another tool (online tool) which helps us to generate the content of source.list file. 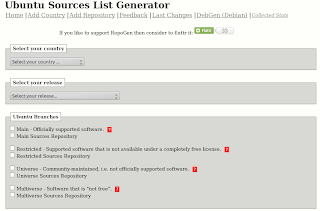 Ubuntu Source List Generator a.k.a RepoGen is a online tool which can generate source.list file. You can choose the mirror from your country for faster download performance. 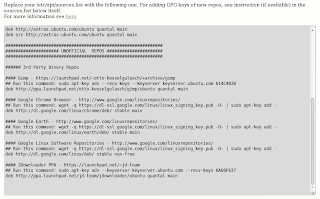 It also provides a PPA channel of many popular Ubuntu applications, of course, you can add many PPA with few actions. To generate a source list, simply select your country and Ubuntu distribution, check the software channel a.k.a repository you want to add and press "Generate List" at the bottom of the page. You will get the content of source.list file, you should replace the existing content with the new one. If you check one or more PPA channel, there is one more thing to do that's getting GPG keys. Don't worry RepoGen give you a complete list of command for getting the GPG keys. Run the commands on your Linux Terminal. Ubuntu Source List Generator a.k.a RepoGen is a good alternative for those who doesn't any graphical tool to add software channel (e.g. use non standard Ubuntu installation). So, if you are interested in RepoGen please click the below link to visit the web.